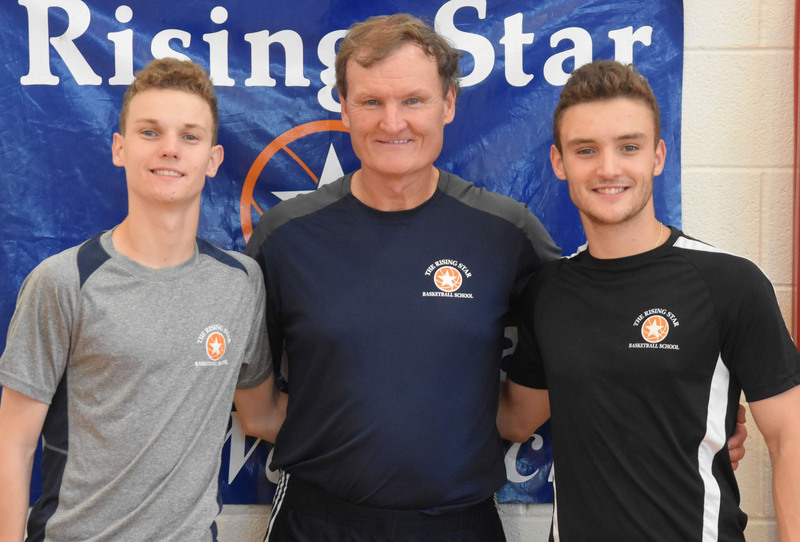 Veteran college coach Kevin O'Brien is the founder of the Rising Star Basketball School and has directed the program since its inception in 1989. A Reading native who played collegiately at Tufts University, O'Brien (pictured at right with his sons Garrett and Colin) was a head coach at Brandeis University (1986-95) and Stonehill College (2000-04) and an assistant at Brandeis, Harvard and Boston University. He also was a baseball standout who played two years in the New York Yankees minor league organization, and his father, Fran O'Brien, is a New England basketball and baseball coaching legend. 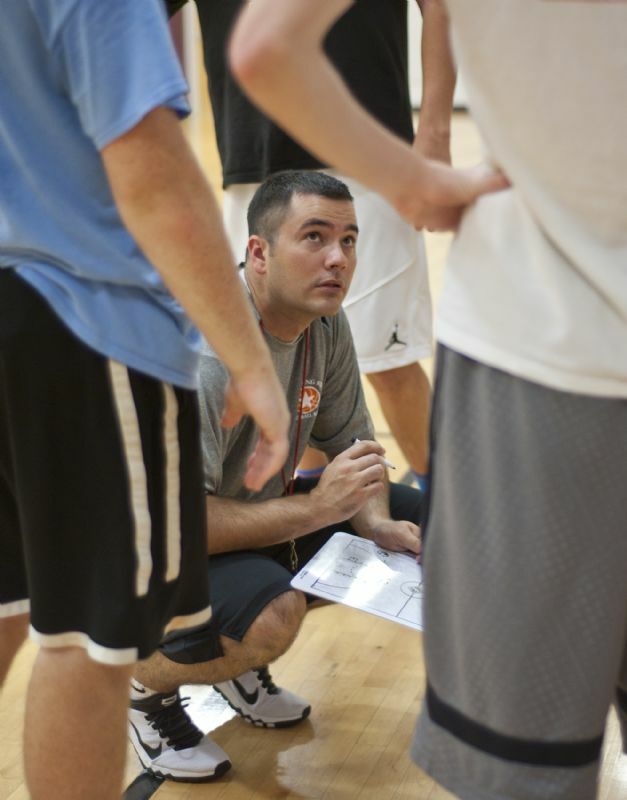 Kevin's mission is to teach the game in a thorough and enthisiastic manner, and he seeks top high school and college coaches to assist in this endeavor. At Rising Star Basketball School we take the hiring of our coaching staff very seriously. Our goal is to have the finest teaching staff in New England. Why? Because we want to have the best camp, and the quality of the staff is directly related to the experience of the player. We want coaches who want to be there to teach with passion and encourage the improvement of players attending. It does not matter if it is a high school star or younger player attending their first camp. We hire based on this. Many of our coaches return every summer because they believe in this approach. At Rising Star effort and enthusiasm is expected every day. We take great pride in our basketball camp. We value creating a quality experience in which to teach and motivate, and keep a low coach-to-player ratio to ensure this occurs. Additionally, we divide our players into different divisions based on age and ability. This allows our coaches to challenge players at an appropriate level. Our desire is to help our players improve their skills, learn more about basketball, and have a positive experience! 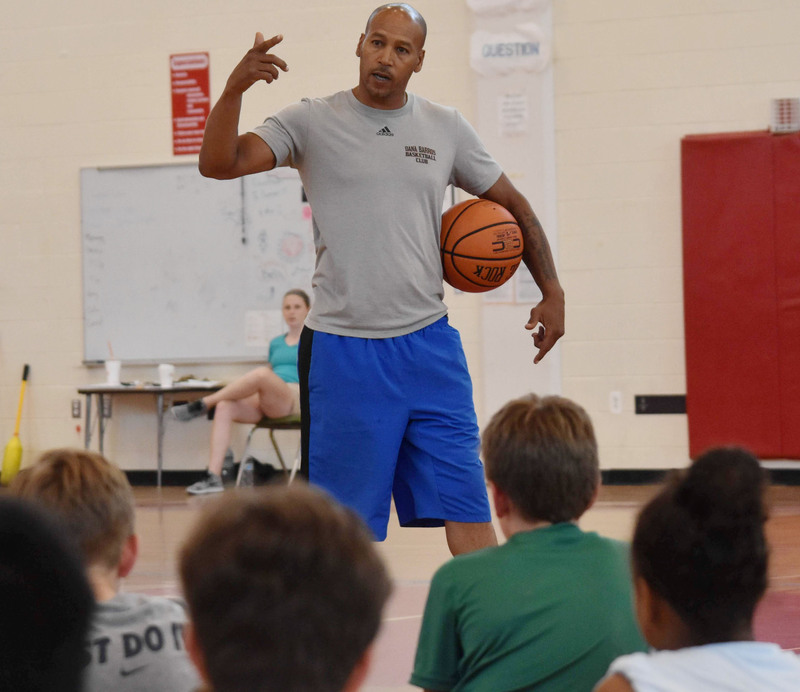 "The Rising Star Basketball School is a terrific opportunity for players to learn from a staff that is dedicated to teaching the fundamentals and learn the game in a competitive atmosphere."